While blade-free, all-laser LASIK is an exciting and life-changing procedure, the cost is initially perceived as a barrier by some people. The truth is, the alternatives can actually cost you more money in the end. LASIK deals and discounts at other eye care centers may seem inviting, but the hidden costs can add up. And the choice to avoid LASIK altogether can also be expensive when you consider the amount of money that you can spend on glasses and contacts over a lifetime. When you compare what we charge to the real cost of discount eye surgery or a lifetime supply of corrective lenses, you may discover that having LASIK performed at Griffin & Reed Eye Care can save you money. While the initial price that you see advertised by some other LASIK facilities may seem like a good deal, you can get hit with unexpected costs. Because these facilities often hire less experienced surgeons and are not usually willing to pay for the best technology on the market, you may not achieve the best possible visual outcome. You could have to return to these facilities for follow up surgeries, adding to your total investment. 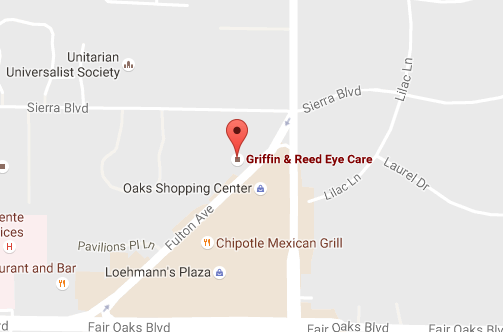 At Griffin & Reed Eye Care, 98% of our patients achieve 20/20 (or at least 20/25) vision after their initial surgery. Discounted procedures can cost you in other, non-financial ways as well. Unfortunately, these profit-driven LASIK centers do not make their patient’s a top priority. They may suggest laser eye surgery even if someone is not an ideal candidate. These offices may also close up shop without warning because they are not firmly rooted in their local community. You deserve to have LASIK performed by experienced laser vision correction surgeons who use cutting-edge equipment. We stand by the results of the procedures that we perform and offer 20/20 Vision From Your LASIK Surgery Or Your Money Back to qualifying patients. At our facility, patients always come first, and we will be here to look out for your visual health for years to come. You might be thinking about dealing with the daily hassle of corrective lenses because you believe it will be cheaper. But what if you compare the cost of LASIK to the total price of glasses and contacts over a lifetime? It might surprise you that the procedure you deserve could actually be cheaper than your corrective lenses. For example, let’s say that your monthly supply of disposable contact lenses costs 25 dollars. In a year, that will cost you 300 dollars. In ten years, you’re looking at 3,000 dollars, and in twenty years, you will have spent 6,000 dollars. If you have astigmatism, your lenses may be more expensive than the average box. And this example doesn’t include the cost of contact lens cases, solution, or glasses that you may choose to wear. LASIK may not be right for everyone, but if it’s something that you want and you are a good candidate, improving your vision at a reliable facility could save you money. And to help fit blade-free, all-laser LASIK into your current budget, we offer flexible financing options. We believe that this one-time investment can truly transform your life, while also saving you money down the road. Schedule your complimentary LASIK consultation today by calling 916-485-2020. 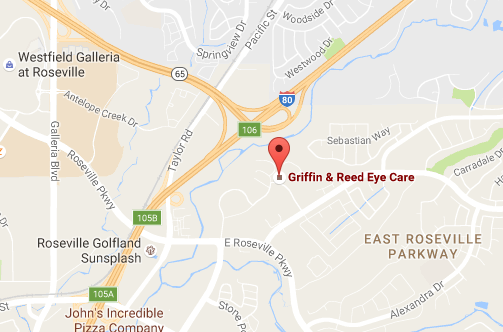 At Griffin & Reed Eye Care, we proudly welcome patients from across California at our Roseville and Sacramento locations.